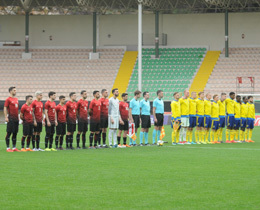 Turkish U21 National Team lost against Sweden 3-0 in the sixth match of UEFA U21 European Championship Qualifying Round, Group 6. The match was played in Oba Stadium, Alanya, Turkey. Sweden's goals were scored by Joel Asoro (Min. 7, Min. 83) and Svante Ingelsson (Min. 40).